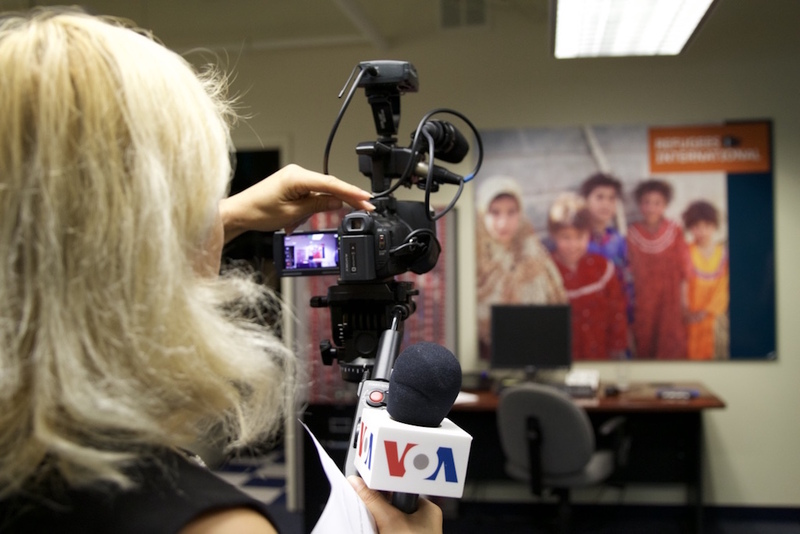 Digital Storytelling at VOA’s LatAm Division – Jesenia De Moya C.
During my Master’s summer internship, I worked with Carol Guensburg, who had been reassigned as VOA’s Bridge Editor early this year, to report between the Central News Desk and the Latin America Division. 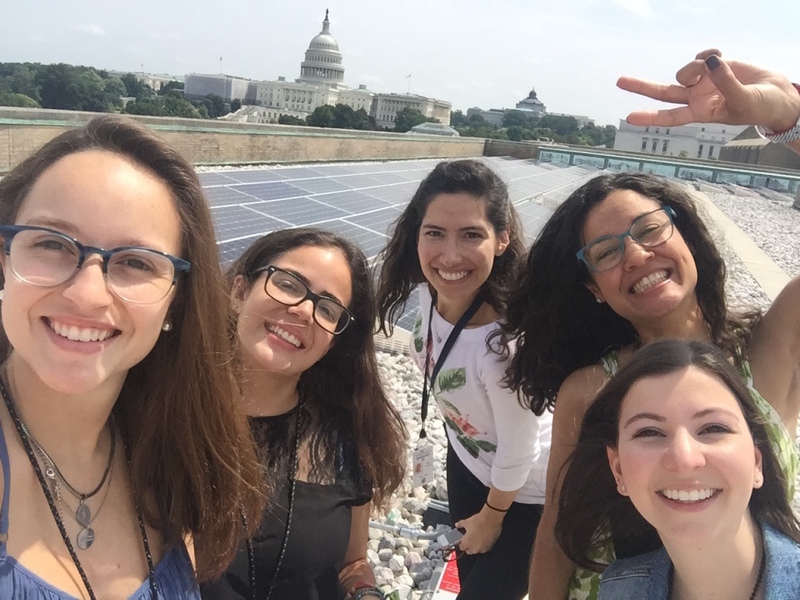 As the Bridge Intern, I put my hands on all my preferred mediums, while translating content and interviews from Spanish to English and reporting on foreign policy, science and the environment in the Caribbean and LatAm for my own stories. En la calle con la periodista Verónica Balderas, al preparar un paquete de televisión sobre el Día de los Refugiados. Spoke to Cuban opinion makers from the island, on Trump’s 2017 changes to the US-Cuba diplomatic relations. Pitched and covered a story on the LGBTQ Pride Parade in Washington, D.C., photo gallery included. Followed the new stats on killings documented in LatAm against environmental activists -and created an interactive chart on it-. Pitched, recorded and edit an audio interview with a Dominican scientist on the findings of Hispaniola Tortoise Fossils -for the first time-, and its significants for Climate Change theory on the island. Suggested, coordinated, filmed and edit a Social Video about the Venezuelan Plebiscite, with reporting from NYC, Washington, Miami and Caracas. In other assignments, I dubbed a tech TV package for VOA’s daily newscast El mundo al día, and edit an agriculture TV package from Central News for LatAm’s social media accounts. What I learned the most was to work with three different editors (Bridge, Radio Broadcast, Digital and Social Media) at the same time, to represent my sources in accurate and honest ways, aside from getting to live in D.C. for eight weeks, in a majestic place I had never been to before. Las pasantes de verano 2017 de VOA Noticias fuimos: Irene Serrano, Alejandra Arredondo, Belén Mora, Jesenia De Moya C. y Goldy Fogel.